Always make safety your priority when creating, posting or sharing anything online- this includes designing a new website! Never share information or pictures of someone else without their permission. Don't give away information about your age, school, street name, current or future location! Don't share your passwords, even with friends! Avoid online gossip/cyber-bullying, ignore/block threats & report! Increase privacy settings on accounts and only accept people on social media sites that you know! Clean up your accounts and remove any pictures and posts that you wouldn't want your family or future employers seeing! Don't be a silent by-stander; speak up and help someone who is a victim of online abuse. 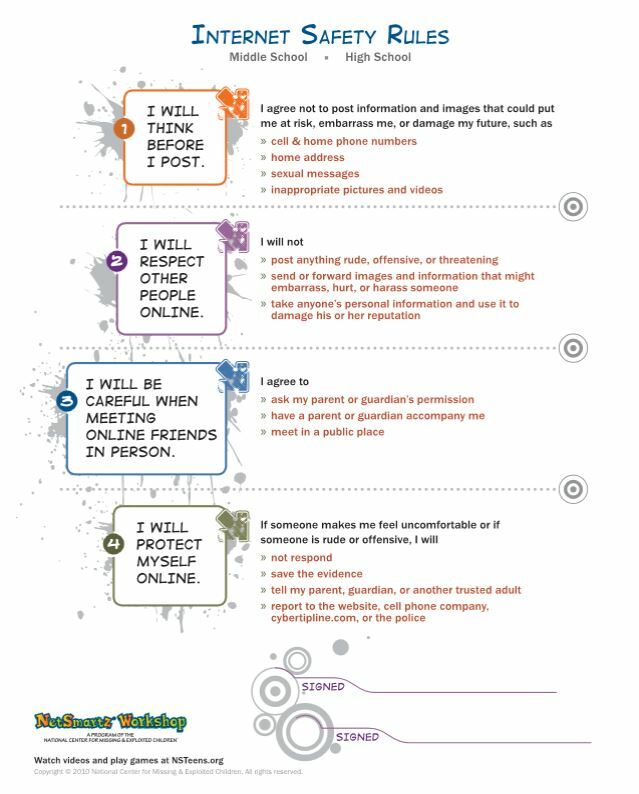 If you haven't earned your Netiquette badge, you might consider reviewing that workshop! When creating a website of your own, you may want to use images, music, or written information that comes from other sources. You will want to understand what is fair to use, how it is allowed to be used, and what is protected by law under the original creator's copyrights. If a work is labeled or found in a search selected as "Public Domain" that means the work (image, song etc.) can be used freely and has no copyright. When image searching online, most search engines allow you to select a usage license in the tool bar. Copyright owners of an original work can assign usage licenses to specify how others can use their work. Sometimes you might have to pay for a license to download a stock photo or sound clip. 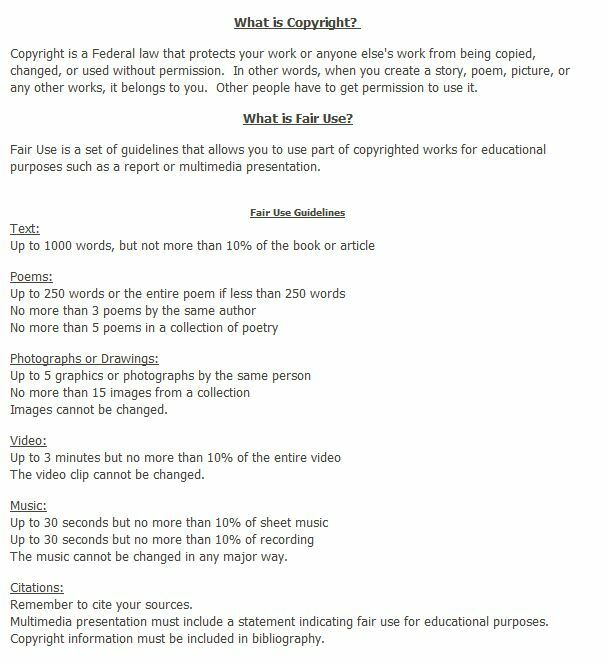 The table below shows some of the terms and symbols used to label a copyrighted work under a Creative Commons License and how the work can be used by the public. When in doubt, gain permission for usage of copyrighted work by contacting the author or creator.